With its geometrical simplicity and harmonious symmetry, the Pinnacle Collection will grant your interior designs a subtle, yet striking appeal. 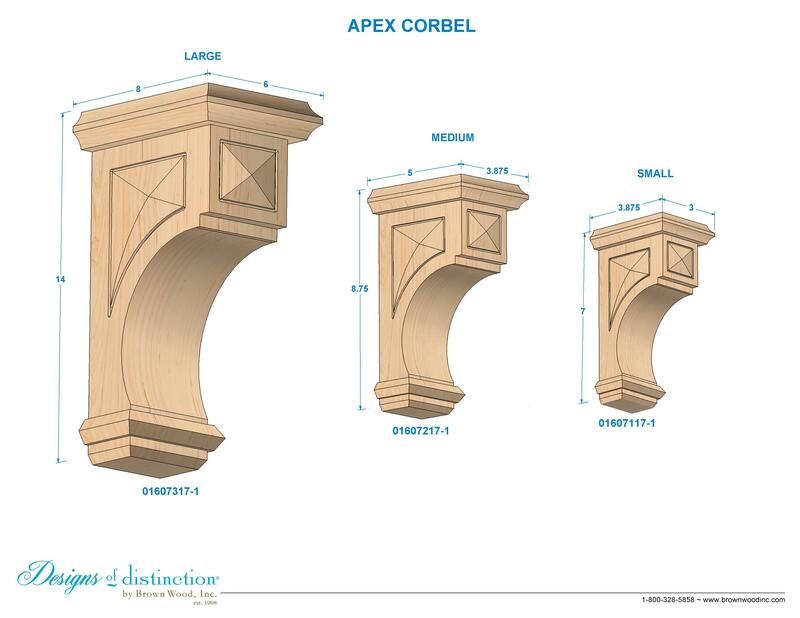 Featuring intricate and geometric carved details, the Apex Corbel lends support while adding visual interest to any room. Establish a theme using all components from the Pinnacle Collection. Available in various sizes - please check dimensions before purchase.